---------------Paying!------------03.11.18 16:58;Account;Receive;Received Payment 4.00 USD from account U17474000 to account U1294000. Batch: 234685678. Memo: API Payment. Withdraw to allhyips from 4BTC. ---------------Paying!------------05.11.18 08:21;Account;Receive;Received Payment 5.5 USD from account U17474000 to account U1294000. Batch: 234841300. Memo: API Payment. Withdraw to allhyips from 4BTC. ---------------Paying!------------07.11.18 04:20;Account;Receive;Received Payment 4.00 USD from account U17474000 to account U1294000. Batch: 235076829. Memo: API Payment. Withdraw to allhyips from 4BTC. ---------------Paying!------------09.11.18 05:42;Account;Receive;Received Payment 4.00 USD from account U17474000 to account U1294000. Batch: 235328204. Memo: API Payment. Withdraw to allhyips from 4BTC. ---------------Paying!------------10.11.18 07:00;Account;Receive;Received Payment 4.00 USD from account U17474000 to account U1294000. Batch: 235450887. Memo: API Payment. Withdraw to allhyips from 4BTC. ---------------Paying!------------11.11.18 07:06;Account;Receive;Received Payment 4.00 USD from account U17474000 to account U1294000. Batch: 235553974. Memo: API Payment. Withdraw to allhyips from 4BTC. ---------------Paying!------------12.11.18 19:01;Account;Receive;Received Payment 4.00 USD from account U17474000 to account U1294000. Batch: 235746828. Memo: API Payment. Withdraw to allhyips from 4BTC. ---------------Paying!------------14.11.18 03:19;Account;Receive;Received Payment 4.00 USD from account U17474000 to account U1294000. Batch: 235902651. Memo: API Payment. Withdraw to allhyips from 4BTC. ---------------Paying!------------18.11.18 02:55;Account;Receive;Received Payment 4.00 USD from account U17474000 to account U1294989. Batch: 236363343. Memo: API Payment. Withdraw to allhyips from 4BTC. ---------------Paying!------------19.11.18 03:37;Account;Receive;Received Payment 27.24 USD from account U17474000 to account U1294000. Batch: 236471020. Memo: API Payment. Withdraw to allhyips from 4BTC. ---------------Paying!------------20.11.18 02:44;Account;Receive;Received Payment 24.38 USD from account U17474000 to account U1294000. Batch: 236596073. Memo: API Payment. Withdraw to allhyips from 4BTC. ---------------Paying!------------21.11.18 05:46;Account;Receive;Received Payment 24.38 USD from account U17474000 to account U1294000. Batch: 236736001. Memo: API Payment. Withdraw to allhyips from 4BTC. ---------------Paying!------------22.11.18 03:46;Account;Receive;Received Payment 26.74 USD from account U17474000 to account U1294000. Batch: 236852489. Memo: API Payment. Withdraw to allhyips from 4BTC. ---------------Paying!------------29.11.18 18:01;Account;Receive;Received Payment 2.86 USD from account U17474000 to account U1294000. Batch: 237702196. Memo: API Payment. Withdraw to allhyips from 4BTC. 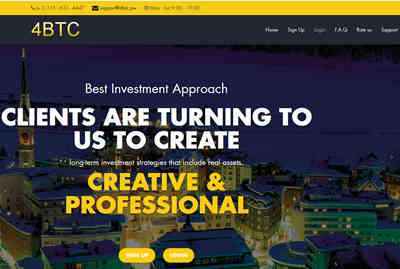 Im not admin New project: BTC DIGITAL - BTC-DIGITAL.LTD Who We Are? ---------------Paying!------------01.12.18 18:57;Account;Receive;Received Payment 41.54 USD from account U17474000 to account U1294000. Batch: 238241282. Memo: API Payment. Withdraw to allhyips from 4BTC. ---------------Paying!------------03.12.18 06:17;Account;Receive;Received Payment 17.18 USD from account U17474000 to account U1294000. Batch: 238365852. Memo: API Payment. Withdraw to allhyips from 4BTC. ---------------Paying!------------04.12.18 05:00;Account;Receive;Received Payment 17.16 USD from account U17474000 to account U1294000. Batch: 238473036. Memo: API Payment. Withdraw to allhyips from 4BTC.